Smart NBN Ready Hybrid Solution – PBX designed for small to medium size businesses. 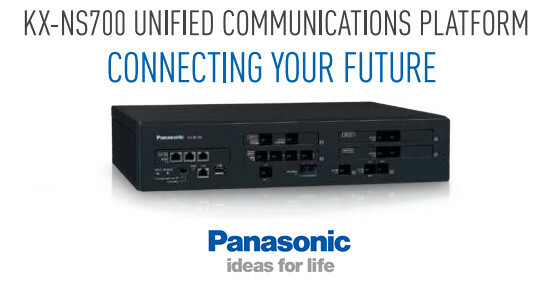 With trunks from PSTN, ISDN (BRI & PRI) to SIP, the Panasonic KX-NS700 can support whatever connectivity you require. The Panasonic KX-NS700 Smart Hybrid PBX system has been designed to allow small and medium businesses to grow and adapt their communication needs as their business expands. The KX-NS700 has been designed specifically for small or medium businesses looking to take advantage Panasonic’s reputation for quality technology without needing to spend a large budget. With up to 252 users, the KX-NS700 will complement your company’s growth, without any messy and expensive hardware swap outs due to expansion capacities like many of Panasonic’s competitors. Smart Hybrid System – The system has sufficient capacity for legacy port and IP ports. Old handset such as KX-T7600, KX-T7630 and KX-T7636 handsets that were previously supported on old Panasonic KX-TDA30 are compatible on the Panasonic KX-NS700. Scalability – The KX-NS700 is highly scalable. It has a stackable design and up to 130 digital extensions can be supported with the installation of an additional three KX-NS720 shelves. A single Panasonic KX-NS700 shelf can support up to 34 digital extensions on a single shelf or up to 128 IP extensions can be supported on a single shelf. It can even connect to a Panasonic KX-NS1000 system to create a small, medium or enterprise solution. Professional bespoke professional Ad on Hold. Tell people about your business and solutions, build credibility whilst you place customers on hold. 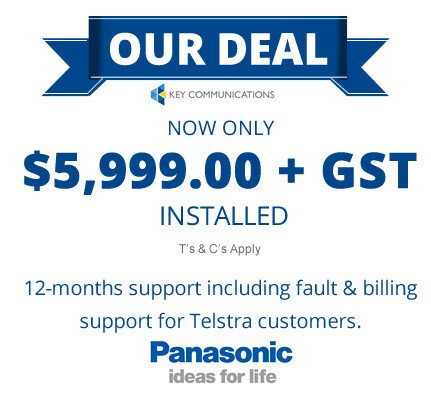 $5,999.00 + GST INSTALLED with 12-months support including billing support for Telstra customers.